How to download MuleSoft video courses, tutorials for offline viewing on any player? Save online training videos from MuleSoft, INE, Linux Academy, YouTube channel, Udemy, Coursera, Pluralsight, Digital Tutors and more. Want to download video courses from MuleSoft for offline viewing? Trying to find an efficient tool to batch download MuleSoft videos at fast speed? Just like most sites, MuleSoft only provides streaming service and doesn't give you the option to download videos. So if you would like to download MuleSoft video courses then you need external software. 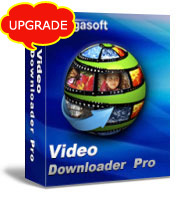 Bigasoft Video Downloader Pro is one of the top online training video downloaders. With it, perform video download from MuleSoft will not be a problem. How to download MuleSoft video courses or tutorials to MP4, AVI on Mac, Windows? Bigasoft Video Downloader Pro helps to download videos from MuleSoft in batch and save them to any format you like for playing or editing, including MP4, AVI, MOV, MKV, ProRes, VOB, WMV, WTV, etc. There are two different versions for Windows and Mac users separately and both versions are totally clean and safe. Please download this ideal MuleSoft Downloader and install. Batch download online training videos from MuleSoft, INE, Linux Academy, YouTube channel, Udemy, Coursera, Pluralsight, Digital Tutors, Vimeo, Codecademy and more. Save MuleSoft training videos to play on iTunes, QuickTime, VLC player, Windows Media Player, iMovie or iOS, Android phones, tablets and TVs. Learn at any place even at the places where there is no internet connection or safe WIFI. Both instructor-led or free self-study courses from MuleSoft are supported. Fully compatible with all the operations system at present. Go to the training.mulesoft.com page and copy the URL of the video course or playlist you wish to download. Then turn to the Download panel of Bigasoft Video downloader, and mouse over the Past URL box. The URL will be pasted automatically. Click "Save Folder" button to choose the destination folder for the downloaded MuleSoft videos. Generally, Bigasoft Video Downloader Pro will save the video courses or tutorials in their original format to keep the best quality. If you tend to download MuleSoft video to other formats, like VOB, WTV or save to audio format, please check "Automatically Convert to" option and select your desired format from the drop-down profile menu. Click the "Download" button to start to download video courses and tutorials from MuleSoft. From Activity panel, you can check the downloading process and pause or restart the downloading at any time. When it is finished, you will get the downloaded videos on the destination folder you choose on step 2. Besides downloading online training videos from multiple sites, Bigasoft Video Downloader Pro also supports other popular video sites, like YouTube, Vimeo, Facebook, Dailymotion, Livestream, BBC, Veoh, CBS, NBC, AOL, Break, Metacafe, etc. Download and enjoy online videos at anytime and anywhere.